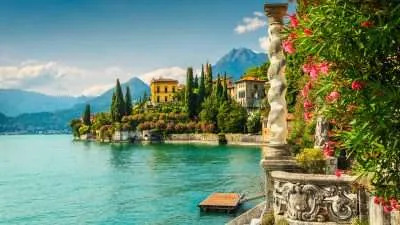 Our self guided Italy walking holidays take in the famous Amalfi Coast and the Sorrentinian Peninsula, the Cinque Terre, Sardinia, Piedmont, Umbria, Tuscany, the Alps and the Dolomites. 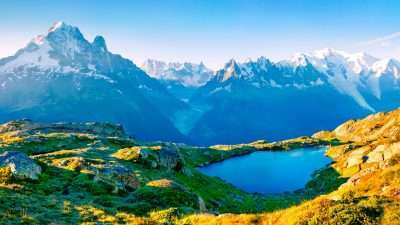 We have developed some unique walking itineraries in these popular regions so that you can be all by yourself, surrounded by nature. 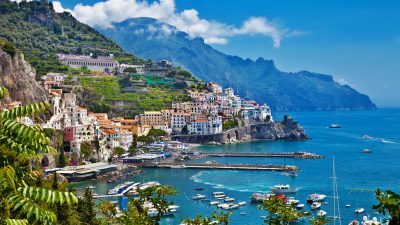 The Amalfi Coast offers a stunning combination of sea, picturesque coastal towns and mountains, an abundance of both culture and nature. 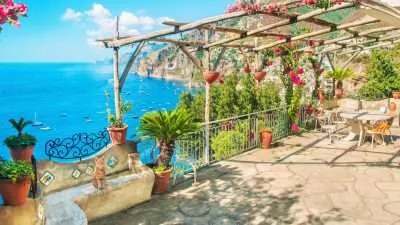 The Amalfi Coast Short Break is a shorter version of our classic tour along the Amalfi Coast which takes in four days of walking and you will be based in two charming hotels in Amalfi (or Atrani) and Positano. 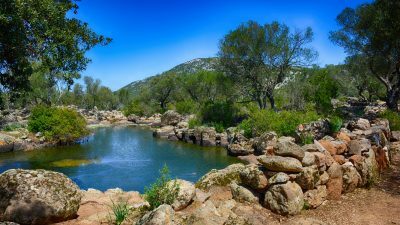 This trip will take you to the heartland of the wild Supramonte region along Sardinia’s east coast, the island’s most spectacular area for trekking. Here sheer limestone cliffs coloured by wildflowers and the fruits of the strawberry trees drop down vertically into the blue Mediterranean Sea, where hidden sandy beaches open up. 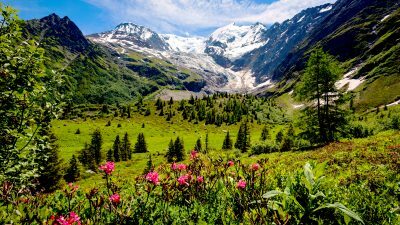 This itinerary combines some unique walks between the rugged mountains and the sea and six overnights in three charming hotels. 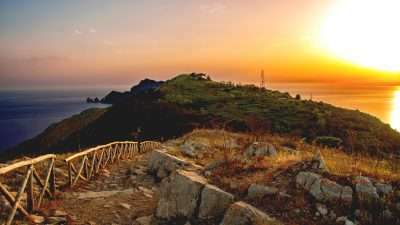 Enjoy beautiful views of the coastline, the blue-glistening bays and the Mediterranean karst – a perfect mix of hiking and some lazy relaxation, topped off by Sardinia’s delicious cuisine and fine local wines. 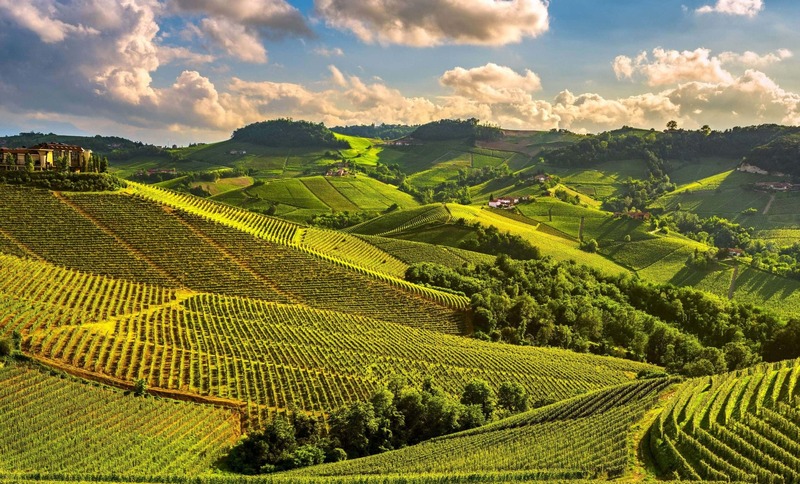 Known for its slow food, fine wines, regal palazzi and authentic French-influenced atmosphere, Piedmont is one of Italy’s most beautiful and diverse regions and the Langhe area is one of its highlights. Walking among the rolling hills covered with vineyards, you will explore various treasuries of culinary, architectural and cultural nature. 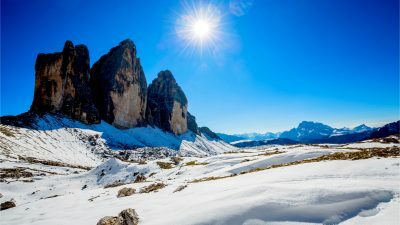 During this winter walking holiday in the Dolomites, you will walk in the snow-covered mountains of the Dolomites of Sesto and the iconic UNESCO-listed Three Peaks. 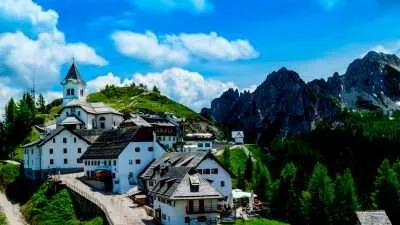 The trip is going to take you through the valleys of Sesto and Braies, known for their amazing nature. The Dolomites winter walking tour goes through well-established ans safe routes and is suitable for both less experienced walkers and fit hikers. Where Do our Walking Holidays in Italy Take Place? 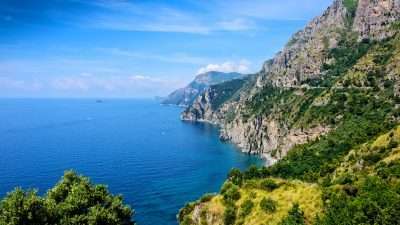 Some of our most popular Italy walking holidays take place on the Amalfi and Sorrentinian coasts. 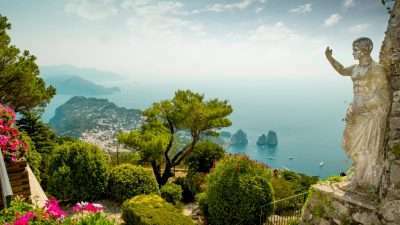 Hiking on the Amalfi Coast offers a stunning combination of sea, picturesque coastal towns and mountains, an abundance of both culture and nature. The landscape is varied and offers ever-changing views. 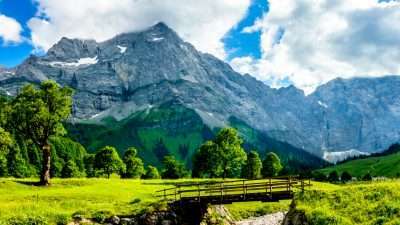 It can be typically Mediterranean, intoxicating with its wild perfumed herbs, with myrtle shrubs, thyme, rosemary and mastic trees, or almost alpine with meadows and bare rocks. 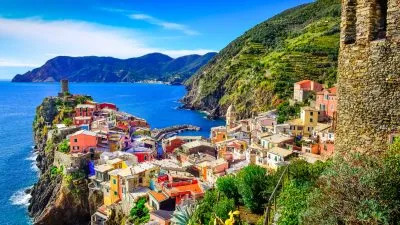 Walking on the Ligurian coast, known as Italia’s ‘Flower Riviera’, will enchant you with its unique coastal and forest trails. 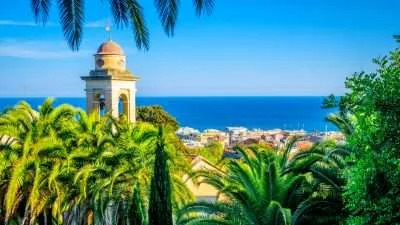 It stretches from the French border all the way to Tuscany and offers wooded slopes plunging towards the sea, where fishing villages of tall, sorbet-coloured houses nest in small bays and coves. Fish and seafood dominate the local cuisine, as do rare white wines such as Sciacchetrà. 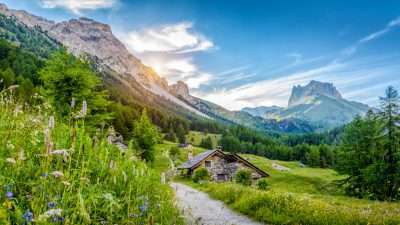 The Dolomites are a mountain range located in northeastern Italy. 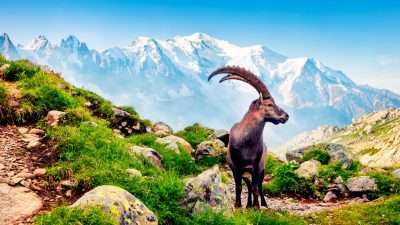 They form a part of the Southern Limestone Alps and extend from the River Adige in the west to the Piave Valley in the east. The northern and southern borders are defined by the Puster Valley and the Sugana Valley. Known for its endless sceneries of pastures surrounded by jagged peaks and vertical walls, the Dolomites will reveal you some unique landscapes. The Alta Via route is known as the classical path revealing the best sceneries and iconic peaks of the region, and each of its stages reveals areas of exceptional natural beauty, history and genuine local culture. 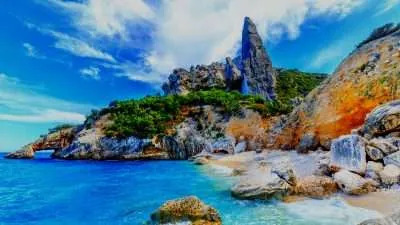 The island of Sardinia has long been known for its sandy beaches and clear sea and is immensely popular as a summer retreat. Only recently its many unspoilt natural and cultural treasures have gotten the right attention from nature lovers and walkers. It is still possible to wander its many spectacular trails, enjoying the peace of a real hiker’s paradise. 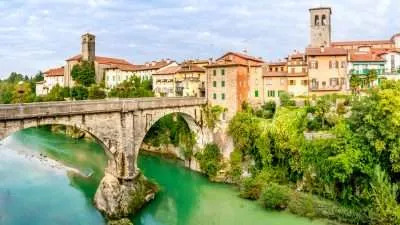 The Alpe Adria-Trail connects the three regions of Carinthia, Slovenia and Friuli-Venezia Giulia in a total of 43 stages and circa 750 km. 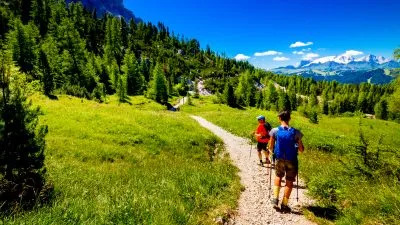 On our Slovenian holidays you will walk along some of the best parts of the trail from the heart of the Slovenian Alps to the beautiful sunny wine region on the Italian border. 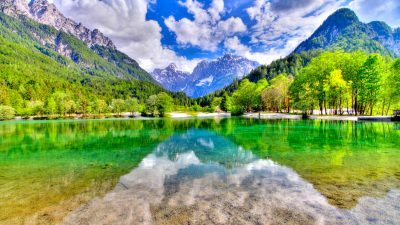 You’ll cross a stunning mountain pass, and follow the emerald-green Soča River as it carves its way through the gorgeous Trenta Valley. You’ll trek the Italian-Slovene border along a mountain ridge, before descending into the Italian wine country. 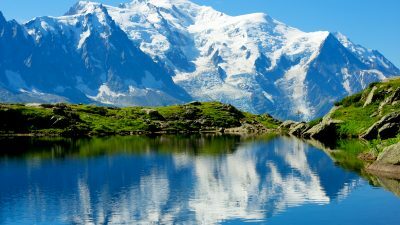 Our Tour du Mont Blanc itineraries will lead you from France to Italy and Switzerland, taking in the best sections of the Tour du Mont Blanc circuit. 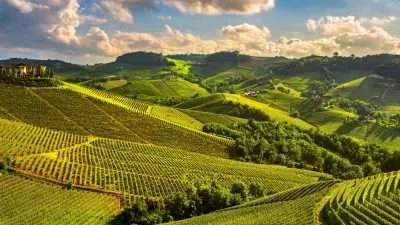 Walking through the Langhe region, you will explore the varied landscape of the unmistakable line of rolling hills covered with vineyards as far as the eye can see. These are the lands where the world’s finest and most expensive wines are made and there are plenty of opportunities to sample some of them in the numerous wine stores all located in historic buildings along your route. 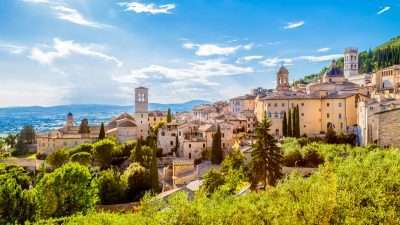 The historic path from Assisi to Spoleto takes you in the footsteps of St. Francis through Umbria, the green heart of Italy. The villages you visit on the way have preserved their own identity and you will feel like the time has stood still for centuries. 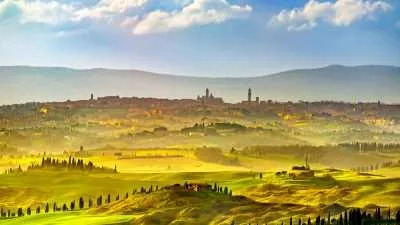 Follow the wine trails of Tuscany on foot through the wine region of Chianti, nestled between the beautiful cities of Florence and Siena. 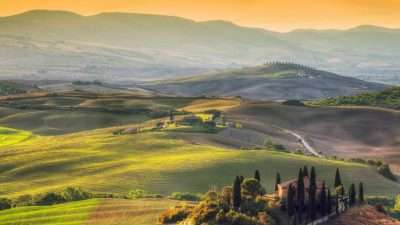 Or take a walk that combines the famous towns and villages such as Siena and San Gimignano with beautiful hamlets such as San Miniato, allowing you to discover the very best of the Tuscan Via Francigena in a single trip.